ENO Conversion Kit: Kits are designed to convert from standard ENO, for horizonal drop out frames to the Eccentric ENO, for vertical drop out frames needing the ability to tension the chain, or visa versa. Kit includes desired axle and axle ends. 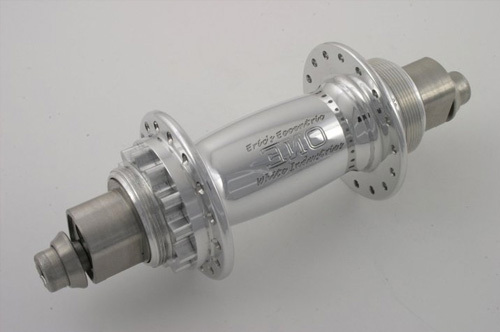 Also available is just the axle ends for Eric Eccentric ENO or standard ENO users that wish to change the spacing of the rear hub. Specify when ordering the desired end result with appropriate spacing. Also see instructions for both style hubs as the standard Eno and the Eccentric Eno require different assembly methods.